Paul J. Smith 92, of Abilene, entered his heavenly home on Monday, August 6, 2018. Services will be held at 2:00 P.M. Wednesday, August 8, 2018 in Elmwood Baptist Church. Interment will follow in Elmwood Memorial Park with Navy Honors, under the direction of North’s Funeral Home. The family will receive friends from 5:00 P.M. until 7:00 P.M. on Tuesday , August 7th in North’s Memorial Chapel, 242 Orange St.
Mr. Smith was born October 22, 1925 to Early J. Smith and Lillie (Wigley) Smith near Windom, Texas in Fannin County. He came to Abilene with his parents and two other brothers in June 1928. The family bought a house on South Third about two months later. Paul has called it his home since that time. In his Junior year at Abilene High School, the United States was forced to enter WWII. He was inducted into the United States Navy five months after he turned 18. After he completed his basic training, he was sent to Hawaii and to the Marshall Islands, where he was stationed aboard the USS Bradford. The ship was ordered to Guam to join a task force headed toward Iwo Jima. From Iwo Jima, this ship stayed in the East China Sea until the end of the war. Paul was discharged from the Navy on May 20, 1945. 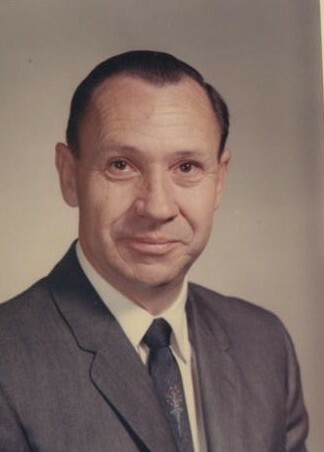 He then entered Hardin Simmons University where he graduated in 1950 with a BA degree. He taught in several area schools and retired from the Woodson, Texas ISD in 1978. Paul was a Volunteer with Meals on Wheels for over five years. He was a member of several organizations including a Life Member of the VFW, Sons of the Republic of Texas, Sons of the American Revolution and Sons of Confederate Veterans. He was also active in his church, Elmwood Baptist Church and served on the Board of the Abilene Baptist Association and Social Ministries. He was preceded in death by his parents and brothers. He is survived by a niece, Lynette and husband Steve Bowen of Baird, nephews, Joe LeeSmith and wife Jan of Big Spring, Danny Smith and wife Linda of Brazoria and Stanley Smith of Brazoria. To send flowers to the family of Paul Jackson Smith, please visit our Heartfelt Sympathies Store.